Every microbadge is a reminder of a terrible losing streak. 160 contests! 0 wins! What are the odds? So now I present the primary game(s) relevant to the contest and see if I missed out, dodged a bullet, or ended up owning the game anyway! If the contest only gave away one game, that game is listed. If not, the thread to the contest is listed with each game separated in the item. 1. 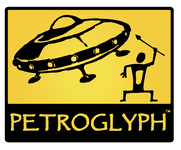 Thread: Petroglyph Games Giveaway Contest! 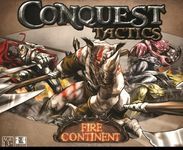 What: This contest provided the chance to win Guardians of Graxia, Heroes of Graxia, and Panzer General: Russian Assault. JUDGMENT: Dodged a bullet here I think. These don't look like my type of games. Plus the ranking and ratings aren't that great. What: A chance at winning Hey Waiter! Looks like a good theme! JUDGMENT: I wouldn't turn this game down. Looks like a fun theme my group would enjoy. Though I have no inclination to get it. 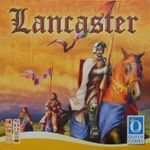 JUDGMENT: I definitely wouldn't turn down this game, but I don't know how often I'd get it to the table. Probably would not buy. What: Win a game by Days of Wonder?? Awesome! JUDGMENT: I've played this game and enjoyed it. I wouldn't mind my own copy some day. What: A very basic contest. 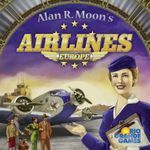 Enter to win Airlines Europe! JUDGMENT: Looks like I missed out on this one. I did play it once and it was a lot of fun. Now that I'm reminded of this, it should go on my wishlist. What: Win Magestorm! At the time I thought: "Wow, cool theme! I hope I win this!" JUDGMENT: 2-player only doesn't fit my style now. Plus the boring looking hex board bores me. Pass. Ratings: Ranked 130 at 7.57 out of 3171 ratings. Wow! JUDGMENT: I own the original and all its expansions (including the elusive Necromancer Island). The original doesn't get played enough to warrant another version. Plus this doesn't appeal to me for some reason. Pass. What: Win the game shown OR a $10 discount on it and 10 GG! JUDGMENT: I like the mechanic of not knowing what your own pieces do. I got a friend who would enjoy the theme greatly. I may pick it up one day. Ratings: Ranked 275 at 7.43 out of 1886 ratings. JUDGMENT: I bought this almost two years ago! I missed out on the contest but I'm a fighting game fan so I knew I had to have it. Fun trivia, I was the first post to the original thread, predicting my inevitable loss. 10. Thread: Tasty Minstrel Games Mega-Giveaway Contest! 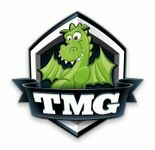 What: Win a bunch of TMG games! (is that like saying PIN number or ATM machine?) 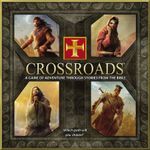 These include JAB: Realtime Boxing, Eminent Domain, Belfort, and Homesteaders 2nd edition. That's a ton! 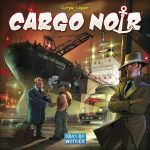 JUDGMENT: I don't have an interest in Jab with Yomi around; Eminent Domain is something I should have on my wishlist; Belfort I have played and it's too heavy for my normal group (but I liked it a lot! ); Homesteaders I would be willing to play. JUDGMENT: War games are not my thing so I guess it's good I lost this one. I don't know if it would have ever been played. At the time it seemed like a good idea, and I started become compulsive at entering contests. JUDGMENT: This game seemed to only have existed during this contest so it is hard to pass judgment. The game only has 28 owners and only one copy in the marketplace. Does anyone know what the story is behind this one? 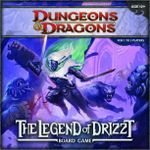 What: A copy of a new (at the time) D&D game! While I'm not a big WotC fan, sure why not!? Ratings: Ranked at 740 with 7.11 out of 778 ratings. JUDGMENT: Meh. I could take it or leave it. Fun minis but I don't think I'd be playing it today at all. JUDGMENT: Another oddball game. Only 67 recorded owners and the game has an expansion. Two available in the marketplace but relatively unknown. Based on what I'm seeing, it is not something I would enjoy. 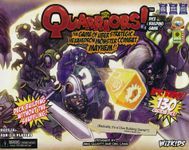 What: Win a copy of Quarriors! Shiny dice! Wooooo! Ratings: Ranked 299 at 7.06 out of 6733 ratings! JUDGMENT: I own this and love playing it. It was actually a wedding gift! I need to bring this to the table again. What: Win Drum Roll! I REALLLY want to win this one! JUDGMENT: I wanted it sooo bad that I bought it after I lost the contest. I ordered from Artipia. I've since acquired the mini expansion, the promos, and the new Kickstarter promos, and the salary counters. 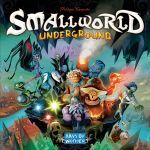 It doesn't hit the table often (I've played it once) but I love the theme and hope my son and any possible future kids do too. JUDGMENT: A boring, repeated theme that I don't think I'd find appealing, though I don't think I'd turn down a game. 18. 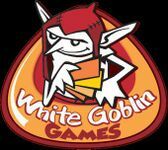 Thread: White Goblin Games Essen 2011 Contest! What: Win a copy of Singapore or Lost Temple! JUDGMENT: Look like I dodged a couple of possible duds. I didn't even hear of these games after this contest. JUDGMENT: I own this! I played it, didn't like it, but played it again, and again, and some more. I got this from the BGG Secret Santa last year and now I love this game. JUDGMENT: Didn't dodge a dud, but dodged something that wouldn't have gotten any play. At the time of this contest, we were playing too much Decent to care about much else. We then stopped doing dungeon crawls for a long time. Not sure if I'd get it now due to my thoughts about WotC. What: Win D-Day Dice, a former PnP game, from Valley Games! JUDGMENT: Looks like a fun dice-rolling game that I would pick up. 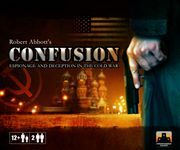 But now controversy about the publisher may stop me from getting a copy as I don't want to support them. What: A new TMG game! Woo hoo! JUDGMENT: Looks like a fun theme and the minis are awesome. This is back on my radar. Note that this contest was from December 2011 and the game published in 2013. What a gap! What: A Quarriors expansion! Woo! JUDGMENT: I don't own this but I've played it. My friend owns all the Quarriors stuff so I played his a lot. It is fun, but I don't know if I'd ever get this. JUDGMENT: I own Island Fortress. I bought it after playing Bryan at PAX East 2013. It hasn't hit the table yet, but I want it to. Order of Professional Sorcerers never printed, and I don't know if the winners of the contest ever got a copy of Monolith: The Strategy Game instead. What: A game about animals getting food, and not about the publisher's namesake.